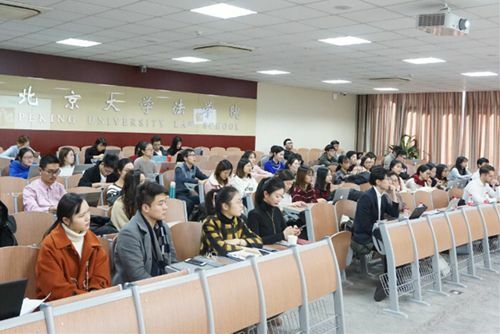 In the afternoon of November 24, 2017, Peking University Law School students' overseas study exchange was successfully held in Class 80 of Koguan Building. 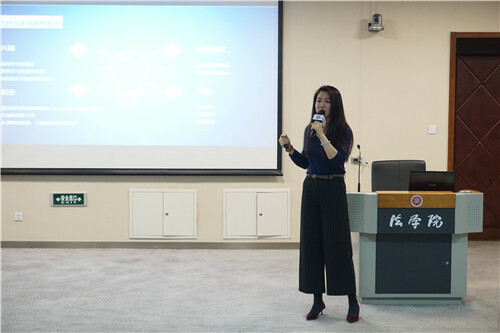 The overseas study exchange for students is an annual important event hosted by the Foreign Affairs Office of Peking University Law School，and the purpose of it is to introduce students to a wide range of overseas exchange programs at Peking University Law School in a comprehensive and systematic manner. 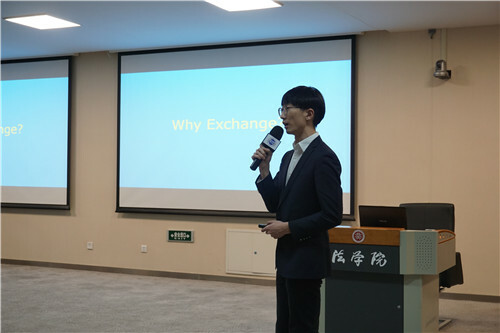 The exchange student and visit international students are invited to share the precious experience of overseas study, creating a quality platform for Peking University Law School students to gain an in-depth understanding of overseas study information, favorable conditions for students to apply for overseas exchanges and broadening their international horizons. 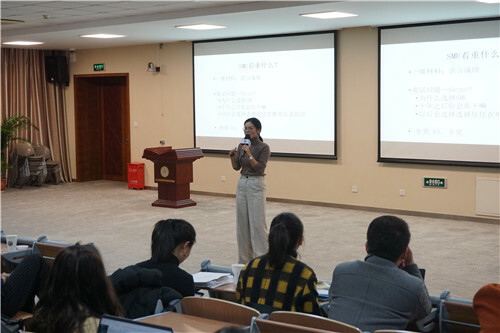 At the beginning of the activity, Mr. Yao Yueming, External Affairs Office of Law School of Peking University, introduced the general situation of international cooperation and exchange of Peking University Law School. 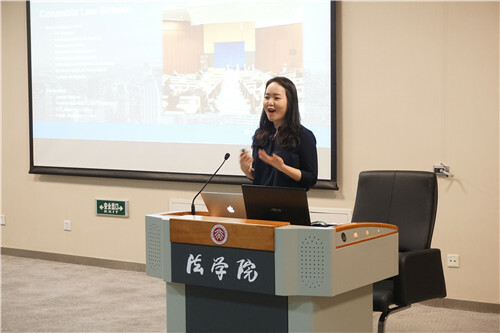 Then, three students from Peking University Law School who went overseas for study or LLM degree in the 2016-2017 academic year shared their overseas study experience. The event also invited four exchange students who studied in our college this semester to share their study life overseas. 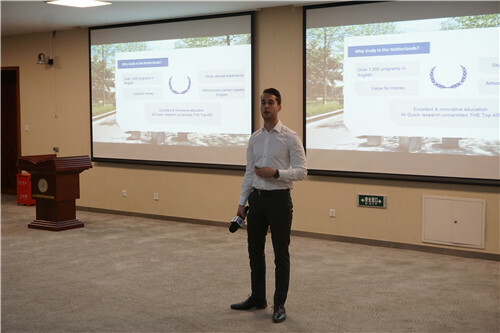 After the meeting, the exchange students asked some questions. 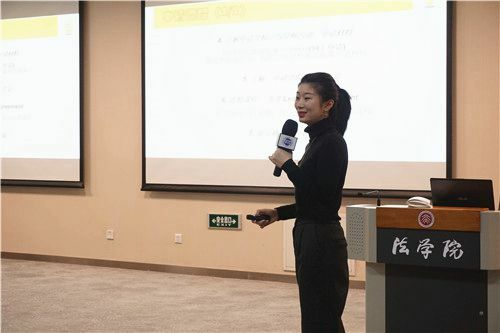 Many classmates also put forward targeted questions according to his own situation. Mr. Yao answered the questions one by one. 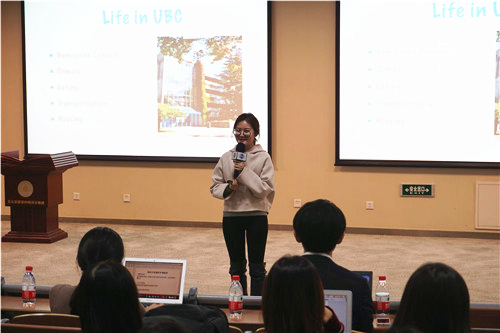 The study abroad exchange will expand the channels of information for the upcoming 2018 Fall Semester Student Exchange Program and Degree Program, which provides important help for students to realize the dream of studying abroad. 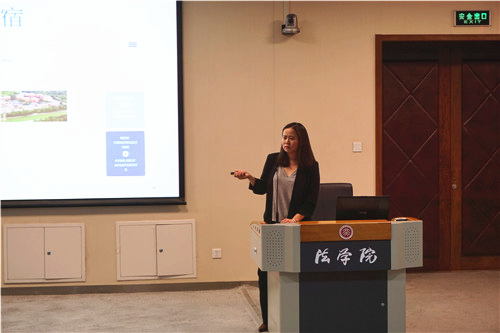 Peking University Law School will continue its commitment to cultivating outstanding international legal talents, strengthening its internationalization and creating more opportunities for overseas study and exchange.